The Elder Scrolls Online for consoles has been MIA. But today, Bethesda has provided a an update on how things have been going. 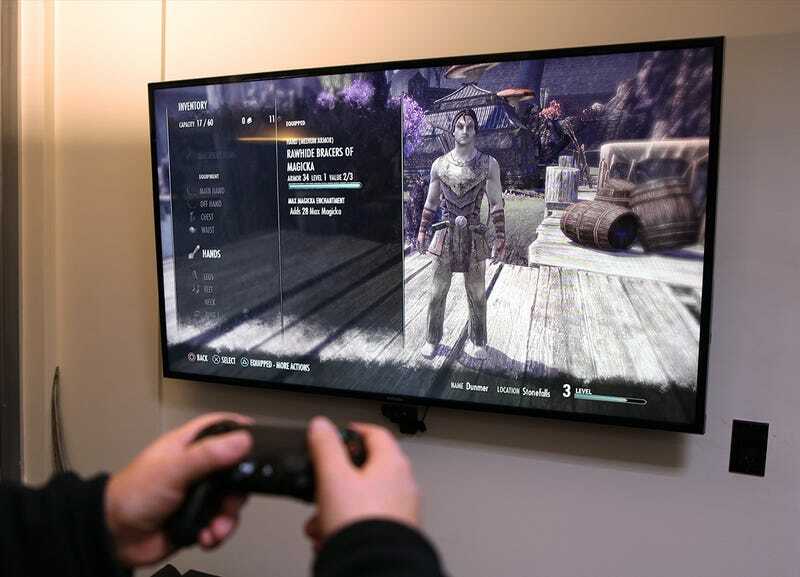 ....we have been (and will continue to be) steadily working on the Xbox One and PlayStation 4 versions of ESO. They are playable and fun right now, but there's still some work to do before we can set an official launch date. First and foremost, we want to make sure that two of our most important systems still in development—the Justice and Champion Systems—are included in the console release. Those two systems will introduce a huge amount of content to the game, and we know everyone is looking forward to the new types of gameplay they provide. It's also important to note that the Xbox One and PlayStation 4 versions of ESO are not just ports of the PC/Mac game. We have completely replaced the PC user interface with a console-specific UI designed from the ground-up with a controller and a living room play experience in mind. We've also added voice chat and full integration with XBL and PSN. Expect to see lots of news about our console versions in early 2015. Originally, the PS4 and Xbox One versions were slated for release this past June. The Windows and OX versions came out in April.